Russians are about half as active in financial markets as Europeans. While some experts argue that’s about lack of trust in the Russian financial system, others say low average income leaves little room for investment. More than 60% Russians prefer to stay away from the country’s banks and credit organizations, says research by the Russian Presidential Academy of National Economy and Public Administration. Russians are about 1.5 – 2 times less active in financial markets than people in Western Europe, as they don’t trust the country’s financial system, the research explained. However, in the ongoing economic crisis a great part of the problem has not been “about the lack or inconsistency of action by Russian banking, but about the low level of Russians’ knowledge about the existing guarantees of saving in banks,” Nikolay Chitov, Housing Finance Bank Chairman, told Business RT. “Fundamentally the Central Bank of Russia (CBR) has done pretty well unlike most of the central banks across Europe, he said. Increasing the level of financial literacy among Russians through education or advertising could really help push people in the country to deposit a bigger portion of their saving in banks,” Chitov added. However, financial activity by Russians remains lower than in Europe. 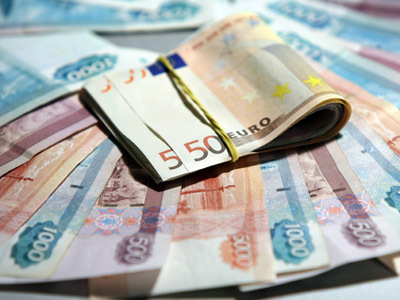 In 2000 – 2007 the ratio of household financial assets to GDP in Europe varied between 375% in Switzerland and 39% in Romania, according to Europe’s key statistical bureau Eurostat. In Russia the portion of financial assets – that include mainly deposits, cash and a handful of shares – stood at the average of 19% during the period from 2000 to 2012. Deposits now comprise up to 70% of Russian households savings portfolio, with the remaining 30% being cash and a small portion of shares. 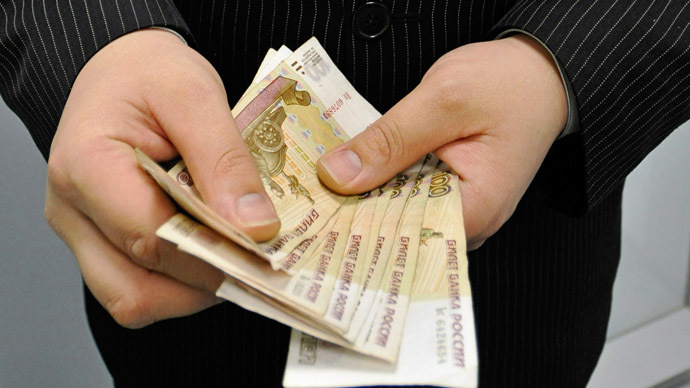 While the Academy research thinks that having 30% in cash savings reflects a problem of disbelief in the Russian financial system, Andrey Melnikov, deputy head at the Agency for Deposit Insurance, says low incomes simply leaves not much scope for a saving in some form other than cash. “Given the average salary in Russia of 28,000 roubles, that can satisfy just basic consumer needs, there’s really little scope for opening a regular deposit in a bank. On top of that, the interest on a tiny deposit won’t do much for an individual,” Andrey Melnikov told Business RT. Institutional limitations also put pressure on developing greater financial activity of Russians, Melnikov added. “Russia’s financial system is all about banking at the moment. All other forms of financial institutions - that includes insurance companies and pension funds - are at a development stage,” the expert concluded.